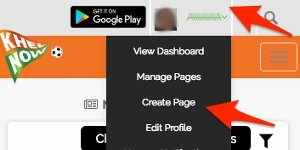 For all latest news, photos, video highlights, reviews, editorial and tactical analysis from Indian football, sign up for Khel Now. FT Chennai qualify for the Indian Super League finals with a well-deserved 3-0 win against Goa here in Chennai. The finals, which will be played in Bengaluru on March 17. With a former ISL winner and a former I-League winner locking horns, ISL finals couldn't get any bigger. 90' Three minutes have been added on. 90' Jeje Lalpekhlua doubles his lead to make it 3-0 to Chennai. Jaime Gavilan spots the Indian international strikers run and sprays a forward pass he latches onto and scores with sang-froid. A striker's finish, that was. 87' Today's attendance is just a little over 19,000. 86' Manuel Lanzaorte's freekick looks like it's destined to hit the top corner, but Karanjit Singh saves the day again, as he pulls off a superb save to keep Chennai's two-goal lead. 84' Gregory Nelson, who created Chennai's goals this game, come off, as Nigeria forward Jude Nworuh comes on. 80' At any point in time, you could count six Chennai players in their defensive half. This strategy of theirs has worked thus far, but sitting back the entirety of the second half isn't a wise strategy, ever. They are just one goal away from being in a nervy position, so they ought to try and score a goal in the remaining minutes. 78' Raphael Augusto leaves the pitch to a standing ovation from the crowd as Jaime Gavilan comes on. 76' Ahmed Jahouh finds yards of space in front of him and decides to test his luck from distance. He hits the target but Karanjit Singh punches the ball away with much ease. Chennai look more open than they did in the first half, but Goa need to be sharper. 75' Brandon Fernandes has looked lively since coming on, but resolute defending from Chennai means his efforts end in vain. 72' Raphael Augusto definitely needs more support in the attacking third. His never passing the ball to striker Jeje Lalpekhlua isn't helping matters as well. 70' Bikramjit Singh is taken off as Chennai's impact substitute Anirudh Thapa comes on. 67' Goa make a double change as Markos Sifenos and Mohamed Ali come on for Sergio Juste Marin and Pronay Halder. 65' Chennai need to bring on Anirudh Thapa and Rene Mihelic to make the game half as exciting as it was in the first half. 64' Ferran Corominas is shown a yellow for remonstrating to the referee. 62' Seriton Fernandes and Raphael Augusto are both handed yellow, as Brandon Fernandes comes on for Narayan Das. 60' It's not shocking that Goa have had thrice as many shots as Chennai have had in the second half. Chennai are clearly being a shadow of their first half self. 57' Chennai lack what made them look exciting in the first half: off-the-ball movement. No player besides Jeje Lalpekhlua, Raphael Augusto and Gregory Nelson seem to have an attacking intent. 54' Chennai aren't surely a counter-attacking team but, given how they've set up in the second half, counter-attacks seem the major source of goals. A Goa goal is definitely incoming. 52' Ferran Corominas earns a corner-kick, but Goa fail to trouble the Chennai defense as the home side make a clearance with much ease. 51' Chennai are back to being their hoofing-the-ball-up-to-Jeje-Lalpekhlua self again as they seem content in staying in their defensive third. 49' Seriton Fernandes has a crack at the goal, but he misses the target. 48' Although it's too early to be making judgements about Chennai's second-half strategy, it looks as though Chennai are happy to sit back. Chennai have four defenders and the double pivot in their half even during the attacking phases, and that surely isn't a promising sign. With over 40 minutes left to play, they should choose to play as positive a game as they did in the first half. 46' Gregory Nelson's pace and power earns them a free-kick in a dangerous position, but the Goa defenders manage to make a clearance. Raphael Augusto is in position to latch onto the rebound, but his effort sails well over the crossbar. 46' The second half is underway. HT Chennai may have had a forgettable start, but they've definitely grown into the game, ending the first half as the better team on the pitch. One needs no better proof than the scoreboard that reads 2-0 to Chennai. National hero Jeje Lalpekhlua and local hero Dhanapal Ganesh make the score-sheet as Chennai enter the second half with a comfortable two-goal lead. Should Chennai keep up their level of performance in the second half, we'll see southern rivals Bengaluru and Chennai locking horns with each other in the former's home on 17 March. 45' One minute has been added. 44' The chemistry among the Chennai players today makes you wonder why they'd mainly been hoofing the ball up in the league games. Some of their passing have been exquisite here. 42' Hugo Adnan Boumous and Mandar Rao Dessai combine again, as the former creates yet another high-quality chance for the latter. The Indian midfielder fails to even hit the target, but the reaction he provoked from Inigo Calderon and Mailson Alves tells you he was close to halving the lead. 38' Chennai bully Goa into making mistakes, with even Jeje Lalpekhlua who has always looked isloated this season partaking in the pressing. 35' "Gregory's blue army!" chant B-Stand Blues, as Chennai continue to search for a third. 33' The atmosphere Supermachans, B-Stand Blues and other Chennaiyin Football Club supporters have managed to create will surely ensure the home side don't throw the game away from here. 31' Both Chennai and Gregory Nelson may have a dodgy start to the game, but they've turned up a notch since, as Chennai have claimed a two-goal lead in the semi-finals. 28' Dhanapal Ganesh doubles the lead. 2-0 to Chennai. The local lad guides Gregory Nelson's free-kick into Naveen Kumar's net, beating Chinglensana Singh to the ball. As Khel Now writer Koushik Venkatesh stated, "It had to be him." 26' Jeje Lalpekhlua opens the scoring for Chennai. 1-0 to the hosts. The India international striker makes no mistake in converting Gregory Nelson's inch-perfect cross from the left flank. Sergio Juste Marin and Chinglensana Singh Konsham are left ball watching, as Chennai go ahead. 25' Gregory Nelson earns a corner-kick, which is easily his first major contribution in the game thus far. His resulting long corner causes a meele inside the penalty box, but Goa have managed to make a clumsy yet crucial clearance. 23' Either team have had their moments, and they're now settling into the game, as both teams seem to be making more sideways passes than they did, in the first 20 minutes of the game. 20' Chennai are finally beginning to build momentum, but the Goa defense has been as good as Chennai's. 17' Goa have been the most dominant team thus far, with Chennai struggling to even string a couple of passes together. 14' Dhanpal Ganesh gives away a free-kick right outside the penalty area after a mistimed tackle from the behind. Referee Turki Mohammed shows him a yellow for the trouble. 11' Goa earn the first big chance of the game, as Mandar Rao Dessai has a crack at the goal from seven yards out after having a chance served on the platter by Hugo Adnan Boumous. The Goa skipper manages to beat Karanjit Singh, but Henrique Sereno saves the day, making a goal-line clearance. 10' Manuel Lanzaorte fails to trouble the Chennaib defense with the resulting corner-kick, as Chennai earn a goal-kick. 9' Hugo Adnan Boumous' curling corner looks dangerous, but Karanjit Singh parries it away as Goa earn a corner-kick. 6' Chennai are struggling to string passes together, as even Dhanapal Ganesha and Raphael Augusto, two players who are known for their ability to retain possession, are giving away possession like candies. 5' Mandar Rao Dessai, the skipper, sends in a low cross that Goa attackers failed to pounce upon, letting Jerry Lalrinzuala make a cool clearance under pressure whatsoever. Goa spurn the resulting corner-kick as Chennai reclaim possession. 2' Goa have already begun putting a lot of pressure upon Chennai, with the home side giving the ball away three times in under 120 seconds. Goa have had the better start by a country mile. 1' It's kick-off here in Chennai. 07:55 PM The teams have come out of the tunnel, and the first half is underway. 07:50 PM Chennai fan groups Supermachans and B-Stand Blues don't see eye to eye on a lot of things, but they're making a helluva noise here in Chennai. Marina Arena hasn't looked livier this season. That said, the stadium doesn't even look half full. 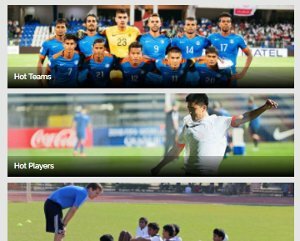 07:45 PM As for Goa, they have their share of big-name substitutes in Manvir Singh, Brandon Fernandes, Markos Sifenos and Laxmikant Kattimani. A thrilling second half is likely. 07:40 PM Chennai coach John Gregory names an unchanged line-up, with the first-leg goal-scorer Anirudh Thapa starting from the bench again. You may have probably heard this before, but Chennai's bench strength will prove a crucial factor in deciding the result of the tie. 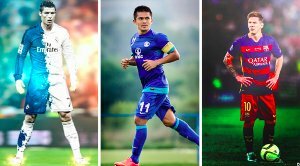 Chennai can call upon the services of big names such as Jaime Gavilan, Mohammed Rafi, Germanpreet Singh and Rene Mihelic if need be. 07:35 PM Here's how the teams are lining up tonight. 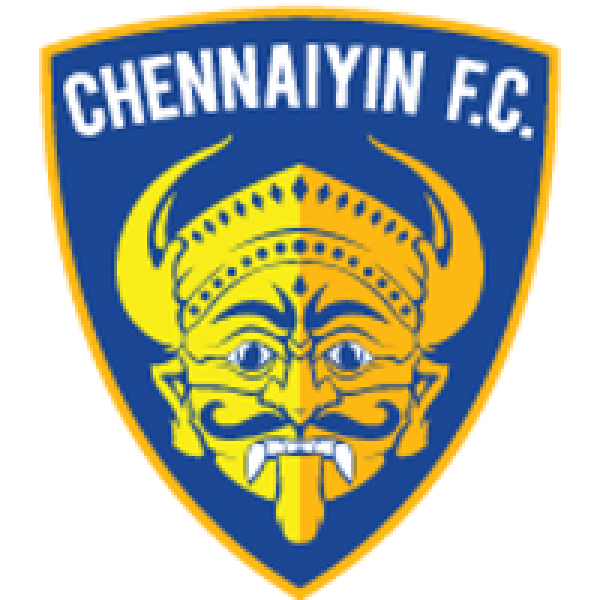 Chennaiyin FC XI: Karanjit (GK), Sereno (C), Bikramjit, Nelson, Jeje, Calderon, Ganesh, Jerry, Augusto, Alves, Fernandes. 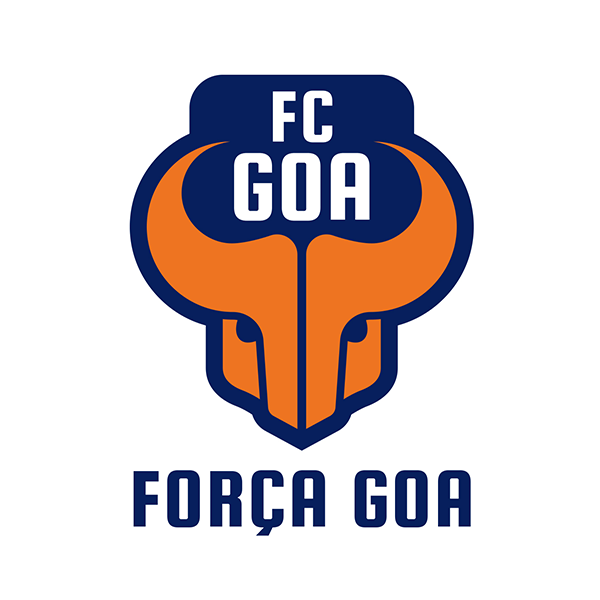 FC Goa XI: Kumar (GK), Das, Boumous, Jahouh, Chinglensana, Corominas, Lanzarote, Dessai (C), Halder, Fernandes, Juste. 07:30 PM Hello, everyone, it is a wonderful evening in Chennai, and it is a delight to host a semi-final here. The weather here is just perfect for a high voltage football game between the two Indian Super League behemoths, Chennaiyin Football Club and Football Club Goa. Stay tuned and enjoy the commentary with Khel Now Football!